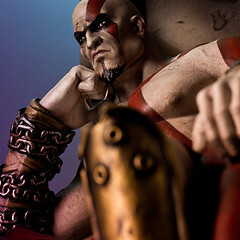 Can’t wait to see Kratos in action on the PS4! So cool! Only three? This makes no sense….better be twenty bucks. Why not the collection? Where are the new games from your studios sony? That statue looks sweet, but $480!?! Yikes!!! God of War III – even though it is like $2 used on PS3, and I still own a PS3, and I beat the game already (twice), I’m still going to double dip if it has improved load times and better graphics. Yes, I am a sucker for Kratos and the PS4 gets the most play time in my home currently. But will it be 60 frames per second? Great, I haven’t gotten to GOWIII. Any idea on the price and if there are any new features (beside photo mode? (which is great)). No thanks. Only 3 is beyond disappointing. Release the whole damn series in a collection. Interesting. Now show God of War 4 on PS4, we’ve been sitting here with that cliffhanger ending to GoW3 now for 5 years (almost exactly)! Welcome back, Mr. Barlog! This will be a great apertif for..? 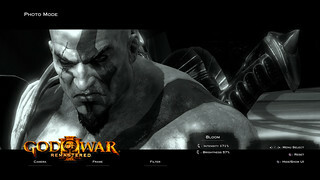 GoW III already looked glorious on PS3, i cant fathom how much better it’ll look on PS4! nonetheless im stoked for this Day 1 buy. Can you guys maybe remaster GoW 1&2 while you’re at it? Day 1, kinda wish the value was pushed and Accession was included, dat multiplayer! Great job all of you!!! I’ve been a fan since the beginning and GOW III is my favorite. 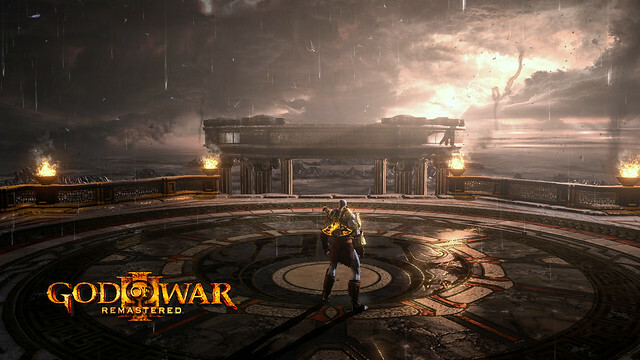 Can’t wait for this and the future of the God of war series…. Ps I’m hoping to see the Titan wars in the newest GOW. Playing as Zeus, posiden, and hades against the Titans back in their prime would be awesome!! GOD!!!! stop “making” Remakes and just whip out more original material… or is your thinking cap all out of ideas??????? Next thing you know you´ll be releasing GoW Super Collection HD Remixed with Directors Commentaries and 4 new outfits, and half a sidemision that DO NOTHING to change the gameplay or story and 1 new totally unoriginal wallpapers, all yours FOR ONLY $100……. Really? Sorry Sony but you really need to stop doing this to your customers. 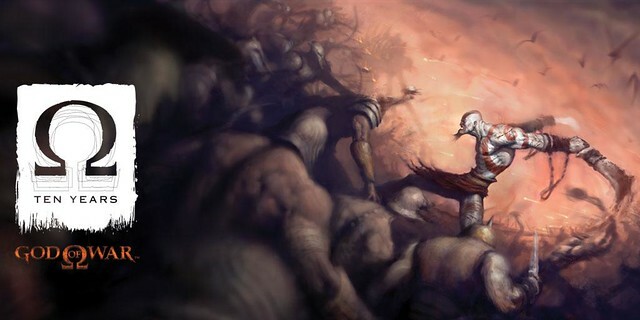 I absolutely loved God of War 3 on the PS3. It was an incredible showcase of technical prowess from the Santa Monica team from art design, to game design, to engineering and narrative. They really did a fantastic job pushing the PS3 hardware. I’m super excited to be able to play it again on the PS4, and with Photo Mode, no less! Can’t wait to see what your team is cooking up next, Cory! Huge thanks for this. There is a large portion of PS4 gamers who have yet to experience a God of War game, we’re excited to bring this one in the Remastered Edition to them and you. is it 60 frame ??????????????? This is amazing news and I can’t wait to play as Kratos again.. On MY PS4!! Please do this with one and two also. Give it the Master Chief Collection treatment. Please. Anyway I will be buying this. God of War is my favorite game, three came out on my Birthday!! Issues still have not been resolved with PS3 / Vita problems, for me to want to move to yet another console. How about bringing GW3 to PSN for PS3. Don’t get me wrong, it’s great for new buyer’s, but let us not forget about the older ones. Ugh, stop wasting resources on games not needing remasters. Where are the new games, Sony? I’m actually getting a little tired of hearing about more remastered games. Where are the new ones? So far, 2015 it’s going to be a pretty lame year for PlayStation considering how weak is the first party line up for the console. I know you can do a lot better than this. Guess I should get on playing it for PS3 so I can compare. @6 I thought the third was by far the best. I’d say that it really is a work of art and although I still own it I would buy it again on PS4. @14 They aren’t doing anything to you. You don’t have to read articles about it. You don’t have to watch videos on it. You don’t have to buy it or play it. You can do whatever you want. What I don’t get is people asking for remasters of the other God Of War games. They’ve already been remastered. There’s only so much you can remaster on PS2 or PSP games. I can understand why God of War 1 and 2 weren’t included (originally on PS2, looked terrible on Vita), but I’d love to see Ascension included in this (especially because I skipped it). Yes, bring Uncharted Remastered! (1, 2 and 3 preferably or even just 2 and 3 with online multi-player). Will this be retail or Digital? 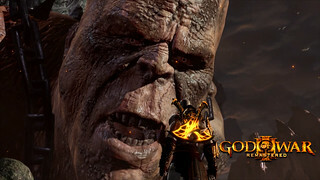 Any plans of releasing God of War 1 & 2, Chains of Olympus and Ghost of Sparta on PS4? Only the GWIII? It’s no sense. Please, remaster all off them in an one collection! Or maybe, better, one game with all GOW on chronological sequence as if it were a single game! 1) You don’t HAVE to buy the remasters. 2) It takes time and money to develop video games. Sony hasn’t abandoned making new games to push remasters. If anything, these remasters are helping to supplement the development costs of new IPs, and PS4 sequels to existing IPs. Dropping $50 million + to make a video game that may sink or swim on the whims of a fickle, nearly impossible to please player base is an insanely risky endeavor. The Order 1886 is an awesome, unfairly maligned game. That wasn’t a cheap game to make. That’s obvious by looking at it. It was a new IP. Risky. Remasters like The Last of Us and God of War 3 make it possible for risks like The Order to happen. In short: get over yourselves. The PS4 ground up games are coming. More complicated games require more time in the oven. You don’t make a beef wellington in 10 minutes. I’m buying this, now Sony. How about Demon’s Souls Remaster? 1080p, 60fps, sixth world open, improve coop and up to four player coop? I would buy Demon’s Souls again with all that. Why only gow 3, please add gow 1 and 2 too. @30 The PS4 launched on 2013. I’m still thinking maybe they rushed on releasing the console back then. And no, I’m not saying they can develop games in 10 minutes but you gotta admit that unless they come up at E3 and announce a bunch of exclusives games, 2015 doesn’t look very promising for the console in that regard. Don’t forget, Uncharted 4 was delayed until next year and so far the only big blockbuster title we have coming for the PS4 is Bloodborne and nothing else for the months to come. smh stop with the remasters and give us god of war 4!!! Original content would be nice. Thanks for making the decision to stay on the PS3 a lot easier Sony. Why are you wasting your time in this instead of getting the new Uncharted 4 or the next God of War out the door? Wonder how many “Remasters” we’ll see at E3 instead of new games. I’m beginning to wonder if any Western studios are actually working on new PS4 games, or if they’re all just working on remaking their PS3 hits for the PS4. Oh well, I prefer Japanese games anyways. didn’t take long for all the whiny kids of the gimmie gimmie generation to appear. This makes no sense, I love GoW but why remaster the third game only in a trilogy. What happened to the other two, if anything needed an upgrade its GoW 1 and 2. There’s no point in only releasing GOW3, especially since it’s so heavily focused on the story. Unless you plan on doing this with the rest of the series I’m not buying because I already own it on PS3 and it’s just fine imo. Hamm… As in yes! There will be another 10 years. And they begin with God Of War 4! LOL who asked for this again? Move on to something new please. I love GoW but unless you revitalize this series with new gameplay mechanics leave it be. I own over 40 games for my PS4. I’m not particularly obsessed with only exclusives. Sony has more development studios than both Microsoft and Nintendo. Many of those studios are comprised of two teams. All of those teams are working on content for PS4. The year isn’t even close to being over yet. Gaming isn’t comprised of just big blockbusters and “system sellers.” Maybe it’s because I’ve been gaming since the 80’s, but I’m not interested in “system warz” or “list warz.” Between my PS3, Vita, PS4, gaming PC, and 3DS, I have so many games to play and occupy my time and empty my wallet, that any “dry periods,” for one of my platforms is a non issue. Not to mention my obscenely large back log. I’m still trying to beat Dark Souls 1! I’ll be at E3 this year, so I’m excited to see what’s coming in the next few months. But I don’t share the cynical outlook on the PS4 as others do. As I mentioned before, it takes time and money to make good video games. This generation is off to a slow start, but it’s been a promising start for me. As excited as I am for this announcement, 40$ is too much for 1 remaster with the only new addition being photomode. Kratos had 5 games. 5 games! yes God of War III was the best one but seriously, let the franchise go away already. Please. Ascension was just further milking of a story that didn’t need it.